The perfect starter set for creating inspirational meals. 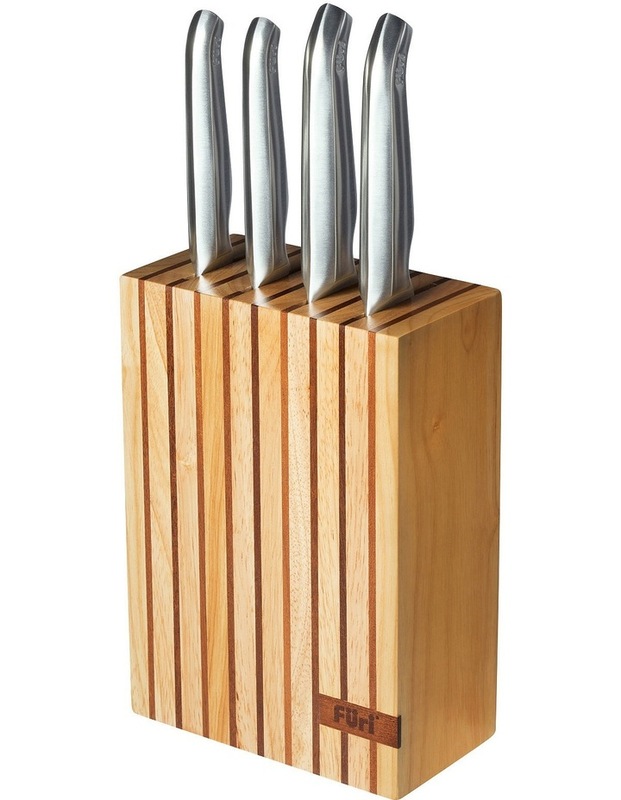 The knives fit neatly into this stylish knife block made from rubberwood and the exotic dark wood, Sapele. Contains: Paring Knife 9cm (3.5 inch), Utility Knife 15cm (6 inch), East/West Santoku Knife 17cm (7 inch), Bread's Knife 20cm (8 inch) and Wood Storage Block.